EU share in global population is 7%. The Union produces 20% of the global gross domestic product but spends 50% of global social spending. 10-50 or even 20 years ago Europe was not threatened by competition from the outside world but now the European social model needs to be rebuilt, said in an interview with euinside Dariusz Rosati, member of the European Parliament (EPP, Poland), rapporteur on the European semester. Europe is not competitive globally precisely because it does not do structural reforms. The economy is over-regulated, with too great tax burden and is not sufficiently competitive to be able to meet competition not only from China, India or Brazil but also from USA. We have to learn to work more, to acquire new skills, to be more flexible when it comes to working hours and all in all we need to modernise, the MEP added. Is there a problem with the European semester? I talked to Dariusz Rosati in Strasbourg during the European Parliament plenary session in the end of April. Then the debate on one of the key reports of the economic committee on the future changes of the European economic governance dropped out from the agenda but, nonetheless, the Polish MEP agreed to speak to euinside about the expected changes and about what is wrong with the current system which was overhauled 4 years ago. The rules were not respected by the member states which led to the accumulation of unsustainable levels of public debt. The 2011 reform did not bring the desired change because the framework does not impose serious obligations on the member states to respect the rules. If a member state behaves inappropriately this can harm the entire Union and everyone pays the price. Nevertheless, the member states continue not to comply with the rules. And with this year's European semester the European Commission gave up and significantly loosened the belts. The Polish MEP explains this with the fact that most of the points included in the country-specific recommendations fall in the competences of the national governments. Practically, the Commission cannot impose anything on any country, although when the member states agreed the general framework they committed to follow the recommendations. But as many of them refer to areas where the EU treaties give no competences to the EU on issues like pension reform or labour market reform there is no strong legal basis to impose obligations on the member states. At the moment the member states and the Commission produce too many documents and procedures. The entire regulatory framework is too complicated. It has to be simplified. It is important the member states to have "ownership" of the reforms to be responsible. Nothing should be imposed on them from the outside, from Brussels. "We cannot continue with the situation that national politicians simply point their fingers to Brussels. They say 'All the evils come from there'. This is unfair and this is untrue", Dariusz Rosati pointed out. Two weeks after our conversation the European Commission used almost the same wording to explain that the member states have to accept the reforms as their own. 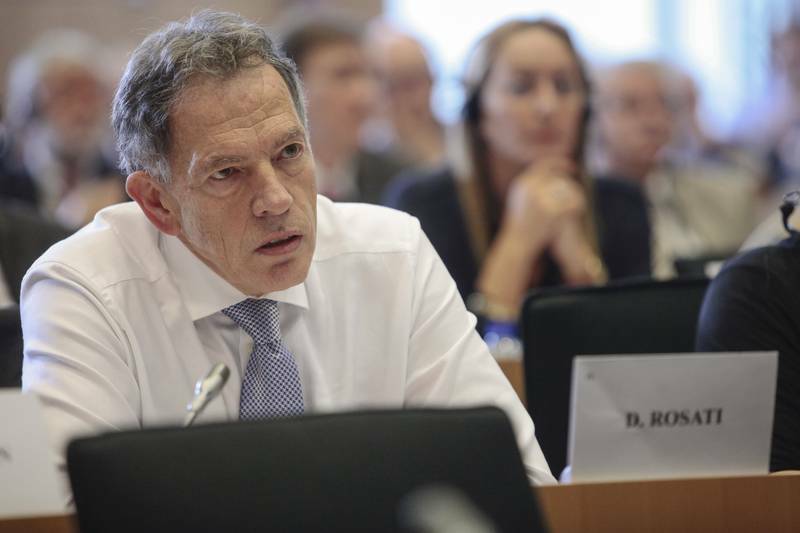 Mr Rosati expressed strong doubts regarding the Commission decision to give France additional time to correct its budget deficit. According to him, such a decision does not have legal basis. "We still don't know exactly what is specifically the provision of the treaty or the Stability and Growth pact that allowed the Commission to give this additional extension". This decision (confirmed later when the country-specific recommendations were presented for France)) is taken against the backdrop of the sacrifices and efforts other countries made in order to fulfil the conditions in their own interest but also in the interest of the entire community. Now they feel that the equal treatment principle is not applied throughout the EU and that some countries, especially the big ones, enjoy preferential treatment, the former foreign minister of Poland (1995-1997) said. This decision is very risky because it undermines the credibility of the Stability and Growth Pact. "We only hope that France will indeed make reforms that would at least ex-post justify this extension because the justification for that is to give France more time because France has engaged on genuine reforms. My sense is that France has been a laggard in this respect. This is a country in bad needs of structural reforms". It is also possible, Mr Rosati suggested, the extension to serve as an incentive. How do the compromises for France sound against the backdrop of the situation with Greece? This is a completely different case, the Polish MEP believes. "Greece is a completely different case. This is a bankrupt country. This is a country that has never fulfilled the fiscal rules since the beginning of the SGP. It has been in place for 15-16 years. Greece has never had deficit below 3%. This is an incredible performance, I must say, incredible in a negative sense". The Greek bailout programme is certainly painful, the Pole continued, an economist by education, but in the end of the day the Greek people have to understand that they lived on borrowed money for 15 years. Unfortunately, he said, their living standards have to be go down further for some time, they have to work harder and to try to put their public finances under control. 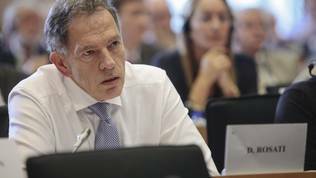 Otherwise, Mr Rosati warned, the assistance given to Greece and financed by taxpayers in other member states will be simply wasted. This will be deeply unfair toward other member states and especially the people in the countries that also went through tough times like Spain, Portugal or Ireland. Even Italy to some extent. These countries, too, co-financed Greece's assistance and now they learn through the Greek government that it does not intend to pay, the rapporteur concluded. He expects in the second report of the four presidents on the future of the euro area the mechanism for coordination of fiscal policies to be enhanced. It is also possible a special budget for the eurozone to be planned. However, for now, those are only rumours, he warned. The final report will be presented at the EU summit in June. And how is the drafting going on you will find out in the coming days on euinside.